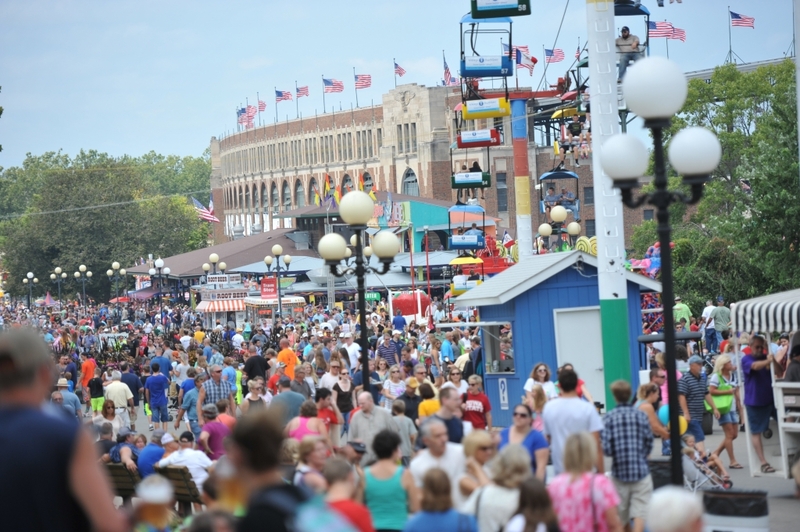 Annually attracting more than a million people from all over the world, the Iowa State Fair in Des Moines is Iowa's great celebration, a salute to the state's best in agriculture, industry, entertainment and achievement. From the livestock judging to the games on the Midway, from the Grandstand concerts to the famous "foods on a stick," there's something for everyone. It is the true heartbeat of the Midwest, unequaled and unduplicated. Check out the Iowa State Fair website for information on tickets, contests, daily schedules, concert information, and more!